Suspects sought in pair of pizza delivery robberies, assaults in Frederick, Md. Food delivery home. The girl is taking boxes from the pizza deliverer. There have been two incidents in February of assault and robbery against pizza delivery drivers in Frederick, Maryland, and police are looking for the suspects. 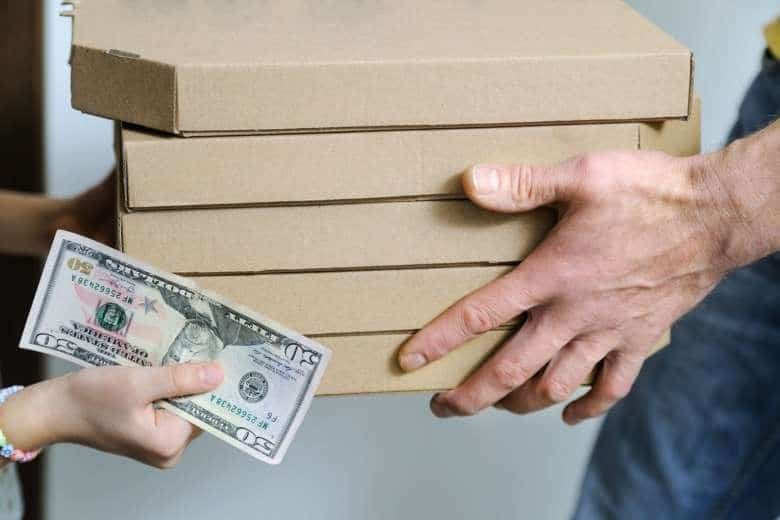 WASHINGTON — There have been two incidents in February of assault and robbery against pizza delivery drivers in Frederick, Maryland, and police are looking for the suspects. One incident happened Feb. 3 on the 100 block of Fairfield Drive around 7 p.m.; another, on Feb. 13 on the 1700 block of Springfield Lane around 7:45 p.m.
Police said the suspects were described as two to four black males in their teens to early 20s, of average build and wearing dark clothing. Michele Bowman, a spokeswoman for the Frederick Police Department, said that investigators believe the suspects are calling in the deliveries and arriving to the locations either on foot or in a vehicle they hide in. Police warn delivery drivers to be cautious during their jobs and to call 911 immediately if anything suspicious arises. If you have any information on the case, please call the Frederick Police Department at 301-600-2102. You can remain anonymous.